Leading organizations are bridging the communication divide by implementing an omni-channel contact center strategy, which integrates Interactive Voice Response (IVR) systems, live agents, two way text, web chat, email, social media and other channels into a single seamless hub, like CallPotential. The integration of all channels into a single program provides a holistic and cohesive customer experience no matter the entry point. 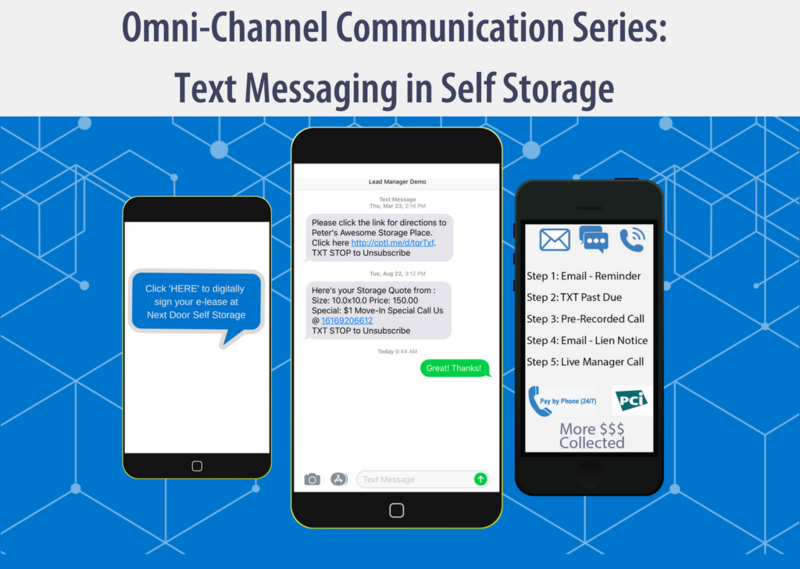 A customer reaching out through text messaging receives the same white glove service as a customer reaching out through Facebook messenger without an agent managing multiple devices and programs. This same customer can switch channels effortlessly continuing the conversation with the same agent, without having to completely start over. Today, we’ll be discussing how text messaging or Short Message Service (SMS) can be used in your communication strategy to provide a seamless customer experience. Why is SMS such a favorable communication channel? It’s immediate, convenient, and one of the most popular ways to communicate. It has eight times the engagement rate of email marketing with an average 98% read rate within two minutes. Plus, it doesn’t hurt your bottom line as it’s affordable and easy to use. There are many options available for SMS services. Some automated, some manual, and some a combination of the two like CallPotential. A combination of the two approaches is the best of both worlds. This allows you to create automated messages tied to a series of events such as immediately texting a customer a rate quote following an inquiry, following up with a reminder and a link to google maps and sending a monthly payment link to pay by phone. The manual option gives you the ability to send SMS messages for other reasons like property announcements, unit locked open, or other individualized customer communications. Before you send your first SMS, you must get permission from the intended recipient known as an “opt in”. This could be by having a “text in to sign up” program, completing a new customer information sheet and selecting SMS for communications, having a section in your lease that gives the owner permission to communicate with the tenant via text, email, robo calls and social media, or our personal favorite using a recorded line to ask permission to text directions, rate quote or other property related information during the first conversation. When selecting your SMS provider, aside from automated vs. manual, cost, and ease of use, there are three additional pieces of functionality that are important to have. 1. A record of conversations. Find a software solution that keeps a record of messages sent and received from each individual customer. This should ideally be tied to your property management software. Either way, you want to have a record of your conversations for reference purposes. 2. Two-way texting. This means you can both send and receive communications from your customers. While it’s great to be able to send a text quickly and easily, you want to provide the seamless experience of allowing customers to text you back just the same. 3. Unlimited ability to send messages. Some texting providers limit the amount of messages you can send. Removing this restriction allows you to have a complete communication strategy that does not cut corners. Now that you know the basics of SMS marketing, get out there and get texting! Curious how others in the industry are using CallPotential to text their customers? Check out our case studies and videos here.